The Samsung Hall of SM Aura Premier was filled with people from media of all sorts because of the big bang Samsung just laid. Finally, the latest and the biggest in the smartphone lines now come to life. Samsung understands the importance of keeping content on users’ phone protected. 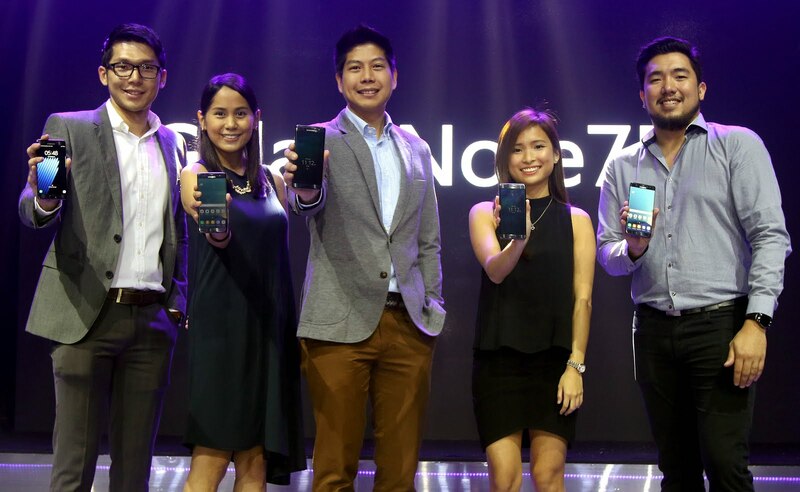 Couple with Samsung Knox, an industry-leading security platform, the Galaxy Note7 provides heightened security and privacy, with highly advanced biometric authentication, including fingerprint and iris scanning technology. 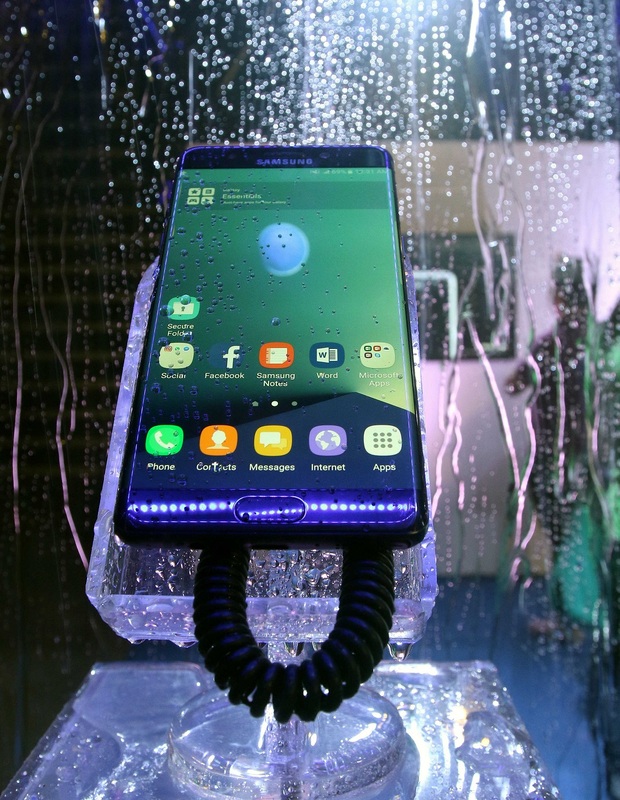 The Galaxy Note7 offers more authentication options that can be used interchangeably depending on how people use their phones, wherever they are, or whatever they are doing. The Galaxy Note7 instills a new level of user confidence with Secure Folder, a separated folder that adds an extra layer of authentication to keep private and personal information safe. The iris recognition technology will also be used to authenticate secure purchases that are made on Samsung Pay. ** The Galaxy Note7 will support Samsung Pass, bringing authentication such as iris scanning and fingerprint recognition to more apps and services. The Galaxy Note7 features a gorgeous, curved 5.7-inch QHD Super AMOLED screen delivering a bold and immersive picture on a smartphone. It is ready to stream HDR video, enabling a cinema-like experience including brighter colors and a deeper black, which ensure users get the full experience that the filmmaker intended. The Galaxy Note7 also features Game Pack, available through Google Play, including top game titles, an easier redemption process and new user benefits. For people who live to create, tell stories and transport people to entirely new worlds, the Galaxy Note7 can be used with the new high-resolution (3840x1920) Gear 360 camera, to capture, edit and share 360-degree images and videos on the go. These memories can then be shared with friends via platforms including YouTube 360 and Facebook, and can be relived with the ultra-immersive Gear VR. 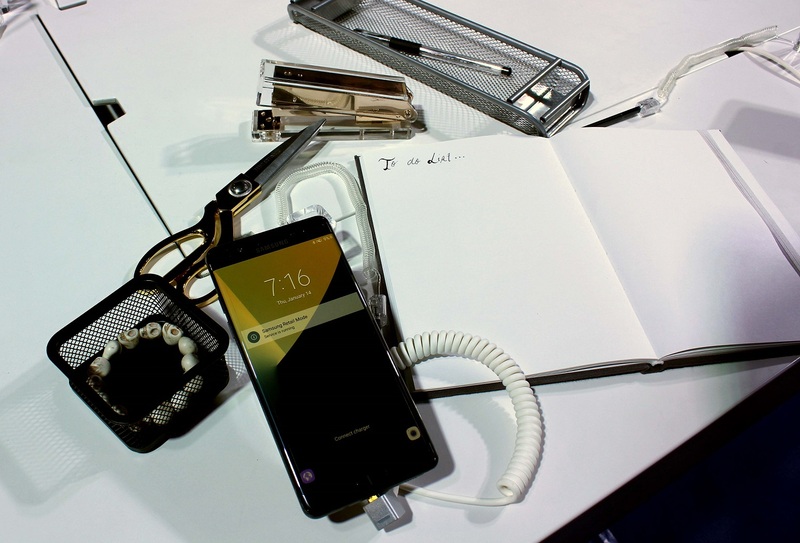 With Galaxy Note7, Samsung continues to defy boundaries of engineering to perfect the user experience through innovative design. Every edge, surface and detail of the device’s design has been refined to provide a comfortable grip, easier one-hand operation, and durability with Corning Gorilla Glass 5. Although the Galaxy Note7 features a large-screen, the unique front-to-back symmetrical dual-edge curve, remains balanced and light with the sleek feel users have come to love from the Galaxy series. The curved screen lets the Galaxy Note7 add the powerful Edge Panel for one-tap user access to applications, news and functions. The Galaxy Note7 is equipped with the advanced camera that was introduced on the Galaxy S7 and Galaxy S7 edge. The dual-pixel sensor technology, wide aperture and fast auto focus, work together to create sharp and beautiful photos even in low-light environments. The Galaxy Note7 will be available starting August 20, 2016 and will be offered in Gold Platinum and Black Onyx colors. For additional product information, please visit www.samsungmobilepress.com; http://news.samsung.com/galaxy or www.samsung.com/galaxy.